Today was our last day at Pay Fong High School…. As challenging as our time here has been, it truly has been rewarding and I am definitely going to miss these students! They are all really great kids and they have definitely left an impact on me. Our last English class today was so much fun! We had the students pair up and write conversational English skits which were absolutely hilarious! All is well that ends well. 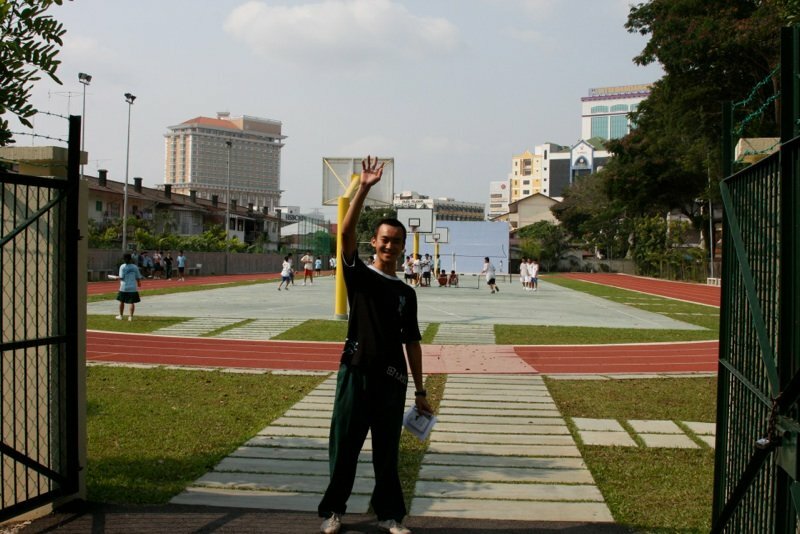 The picture above is of my running partner Jie and the ball courts where I spent my afternoons. Now starts the debrief process. We moved to a hotel around the corner from the school this afternoon so we can begin our discussions slightly removed from the environment. The hotel is your standard three star hotel with construction going on non-stop, but the best part is that they have hot water!!!!! Oh, how I have missed taking a nice hot shower!! !